LOS ANGELES, USA (AFP) - Michael Jackson's father is seeking money from his late son's estate to help him meet monthly living expenses estimated at more than US$15,000, court papers filed in Los Angeles have revealed. 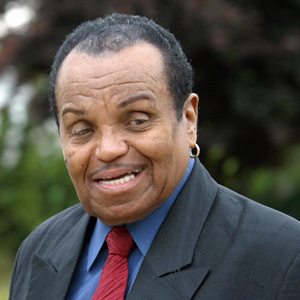 A motion filed on behalf of Joe Jackson on Friday argued that the administrators of the pop star's estate should have set up an allowance similar to the one established for the singer's mother, Katherine. The papers argued that the administrators, John Branca and John McClain, knew that Michael Jackson had financially supported his father for decades. Joe Jackson, 81, receives $1,700 a month in Social Security payments, according to the documents. He has diabetes and had a stroke in 1998. A proposed monthly budget in the court papers lists more than $15,000 in expenses, including $1,500 for rent, $2,500 for restaurants and $5,000 for hotels and air travel. "This court should exercise its sound discretion to award Mr Jackson a family allowance because Michael Jackson actually supported him during his lifetime and he does not have other sources for support," the papers state. A lawyer for Branca and McClain told the Los Angeles Times they were aware of Joe Jackson's bid for money. "It was quite surprising to learn of the request. Mr Jackson's petition will be considered as are all requests for money from Michael's estate," lawyer Howard Weitzman told the paper. Judge Mitchell Beckloff previously approved nearly $30,000 in payments to Katherine Jackson each month and another $60,000 monthly payment for the care of the singer's three children.